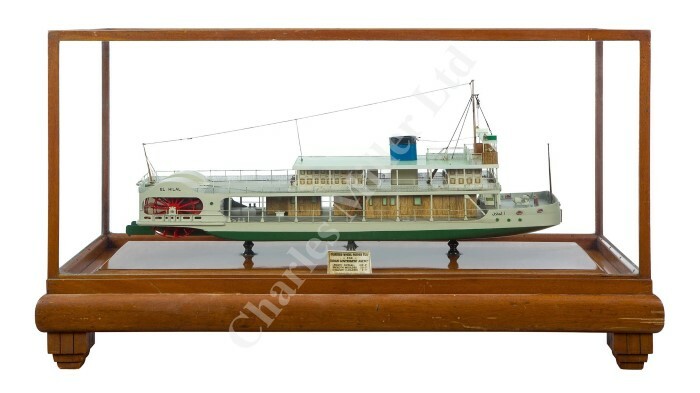 At Charles Miller Ltd, Maritime and Scientific Models, Instruments & Art to be sold by auction at 25 Blythe Road, London, W14 0PD on Tuesday 30th April 2019 at 11h00, precisely. A builder’s model for the El Hilal Class quarter-wheel push tugs built for the Sudanese Government Agency by Yarrow & Co Ltd, Glasgow, 1954. The name El Hilal does not appear in the Yarrow lists and so must be the name for a class of six identical pusher tugs built in 1954 for the Sudanese Government. These were then dis-assembled, shipped to Sudan and re-assembled in situ as was commonly done for this type of river steamer from the mid-19th century. With the end of Empire in sight, however, this must have been one of the last such orders ever dispatched. The six vessels represented by this model are: Hurriyah; Imatong; Lado; Marra; Tagoog; and Taka. However their fates are unknown at present. 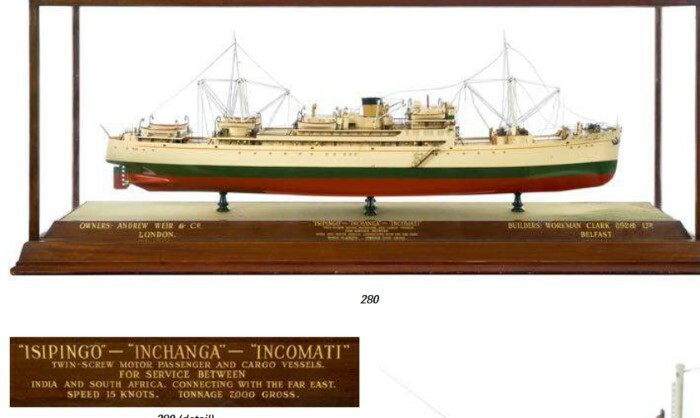 A builder’s model for Isipingo, Inchanga and Incomati, built by Workman Clark of Belfast for the Bank Line in 1933-34. These three 7369gt sister ships were designed and built for the Africa – India route with connections to the Far East. Inchanga and Isipingo both served out their full careers and were both sold for breaking in 1964. Incomati was less fortunate and was torpedoed and shelled by U-508 on 18 July 1943 while on passage between Takoradi, Walvis Bay, Durban and the Middle East, sinking with the loss of one life. There were 212 survivors saved by HMSs Boadicea and Bridgewater. U-508 was sunk in the Atlantic on 12 November 1943 by a USN Liberator which was destroyed with loss of her ten-man crew in an exchange of fire. * By telephone, where available, must be booked by 12noon on Monday 29th April. The Central Africa Regional Integration Strategy Paper (RISP) for 2019 – 2025 builds on the lessons learned from the implementation of previous regional development initiatives. It also lists the Bank’s plans to accelerate intra-regional trade, inclusive economic growth and structural transformation of the Central African region. It will guide the Bank’s regional operations in seven member countries of the Economic Community of Central African States (ECCAS), namely Cameroon, Chad, Congo, Equatorial Guinea, Gabon, Democratic Republic of Congo (DRC), and the Central African Republic – a combined population of some 130 million people. 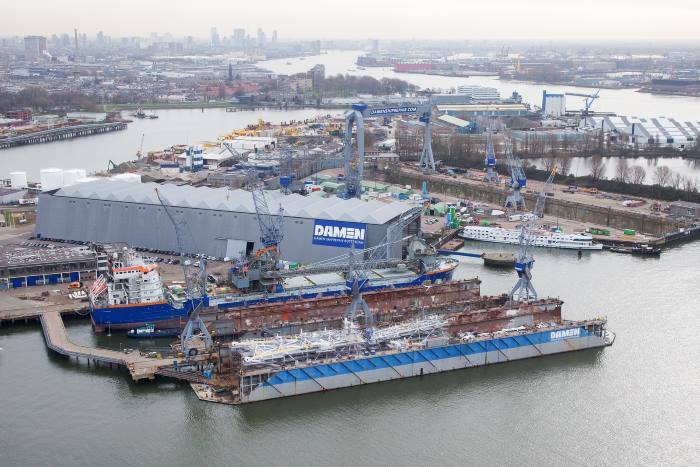 Damen reports that its financial situation stems from a sustained period of difficulty in a number of maritime sectors and investments it has made in its future. A delegation led by the South African Maritime Safety Authority (SAMSA) visited Miami to take part in the annual Seatrade Cruise Global Conference being held in that city, the cruise capital of the world. The annual event, held each year over three days at the Miami Beach Convention Center, is viewed as the world’s foremost cruise industry event. The South African delegation consisted of 10 organisations and was accommodated in a 140m2 ‘South African Pavilion’ at Seatrade, where it showcased the offerings of the KZN Cruise Terminal, the V&A Waterfront, Cape Town Cruise Terminal and Durban Tourism. The Eastern Cape Provincial Government and the Department of Trade and Industry also participated. The general purpose of the delegation taking part in this annual event is to attract more cruise ships to South Africa. Some years ago a similar event organised by the Seatrade organisers was held in South Africa on the North Coast outside Durban for the same purpose, and was attended by many of the leading cruise companies, and while it didn’t lead to any marked increase in the number of cruise companies or their ship visiting South Africa, there has been a steady increase in the visits. The South African stand at the Miami Show was descried as one of the biggest of the event and SAMSA said in a statement that it was confident the improved showing at this event would lead to more cruise tourism. 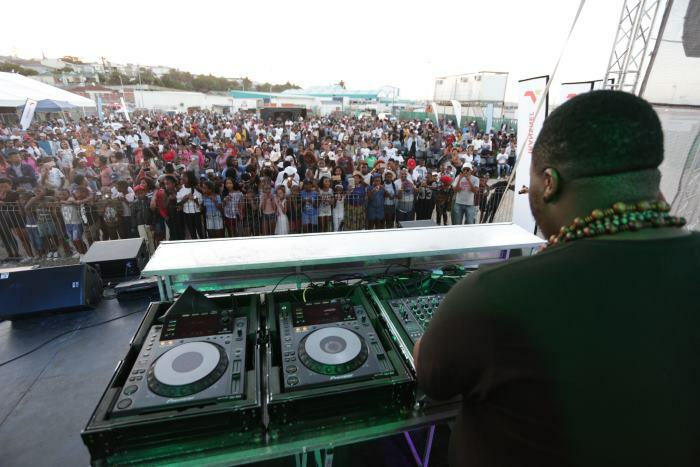 South Africa has exhibited or attended the Miami show on a number of occasions but never, according to SAMSA, on this large scale. 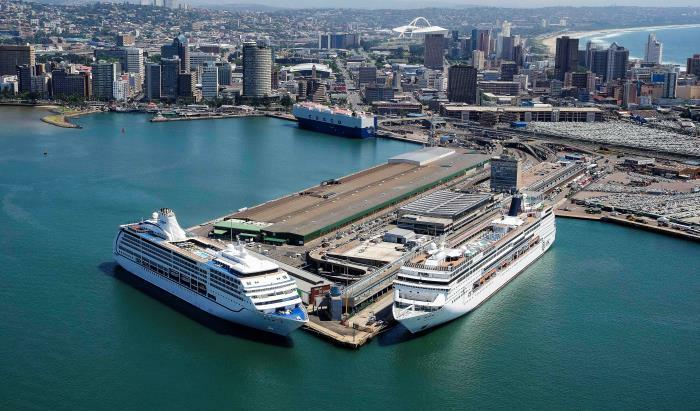 In its statement SAMSA said that South Africa’s share of the global cruise market is estimated at less than 1 per cent. “The cruise tourism industry is the only growth area in the broader maritime shipping sector,” said SAMSA acting CEO, Mr Sobantu Tilayi. “It is envisaged to double in size over the next eight to 10 years with all the order books of the shipping yards full until 2027. But while the global cruise industry is growing exponentially, South Africa is not reaping its full share of the benefits. According to Mr Tilayi, SAMSA had opted to take the lead and manage South Africa’s presence at Seatrade in order to fulfill its mandate to promote South Africa’s maritime interests. 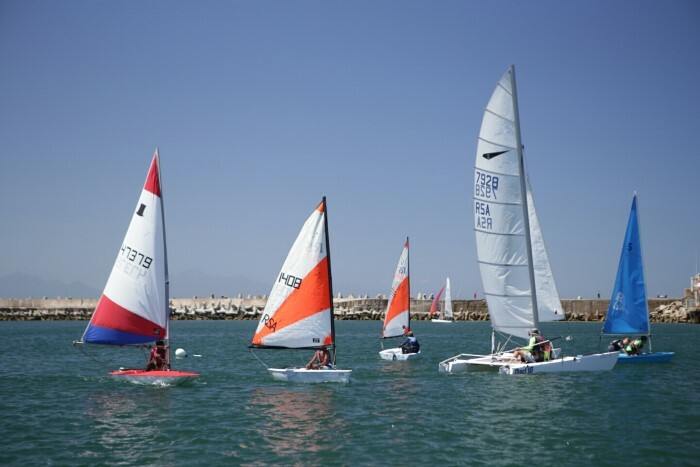 In addition to lending a hand in attracting more global cruise liners onto South African shores, SAMSA launched a jobs focused initiative in 2016 called the Maritime Youth Development Programme, through which South African youth is recruited and placed on cruise vessels across the world. “There is a lot of opportunity to create jobs and to grow the maritime economy. Unfortunately, South Africa has not fully exploited these opportunities. SAMSA is determined to accelerate the process by, among other things, ensuring South Africa is prominent at all the necessary global gatherings, such as Seatrade, and by building on our Ships Register, which we have also been actively doing,” Tilayi says. Below are two video interviews of South African youth, one with Miss Asisipho Nombityana who is now on her second year working on cruise ships, and another with Miss Aviwe Makhaba who was due to start work earlier in 2019. 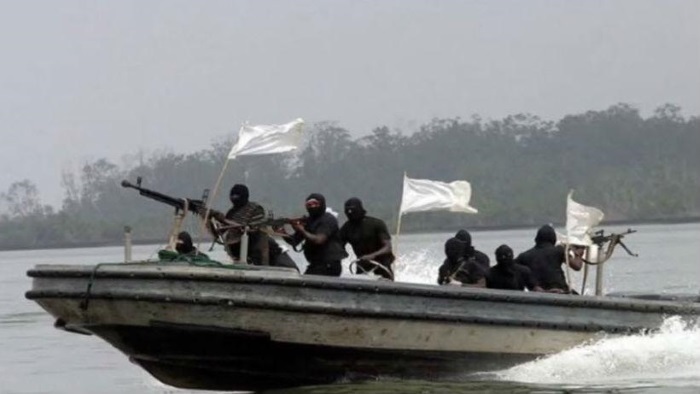 Four armed pirates in a speedboat approached an anchored products tanker in the Bonny River Inner Anchorage, position 04:28.1N 007:10.1E on Monday 15 April at 20h20 UTC. As the boat approached the tanker the men on board opened fire aiming towards the accommodation area. The French defense procurement agency has taken delivery of the fourth and final d’Entrecasteaux-class multi-mission ship from the Kership joint venture. 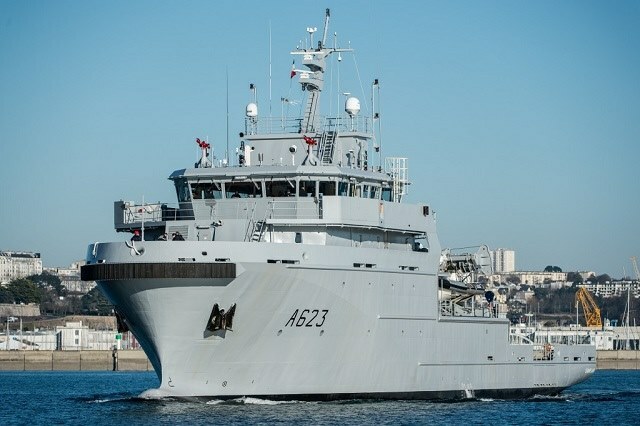 FS DUMONT D’URVILLE A624 was delivered to the French Navy in a ceremony on 5 April 2019. 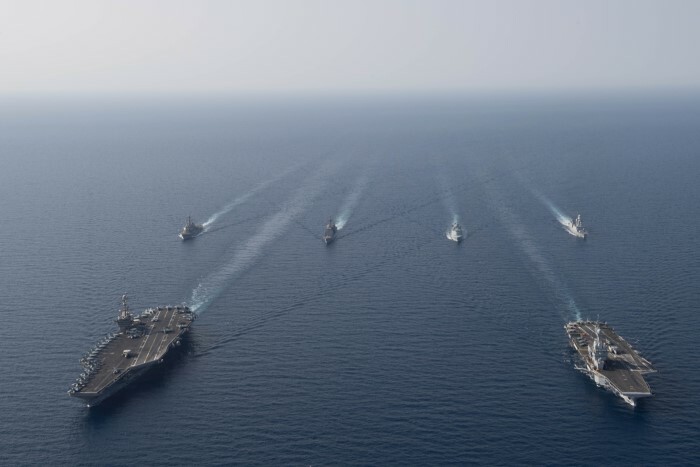 Maritime forces from France’s Charles de Gaulle Carrier Strike Group and the [US Navy] John C. Stennis Carrier Strike Group participated in a naval passing exercise (PASSEX) in the Red Sea, 15 April. Singapore maintained its top position at the head of the 15 leading maritime capitals. Despite a somewhat weak trade cycle in traditional shipping and offshore oil and gas markets yet to recover, Singapore was able to retain its lead in three of the five pillars of the ranking: Shipping, Ports and Logistics as well as Attractiveness and Competitiveness. In the two remaining pillars, London is number one in Maritime Finance & Law, while Oslo is number one in Maritime Technology. On the overall ranking, Hamburg remains in the number two spot, while Oslo drops from third to seventh. Rotterdam and Hong Kong show the biggest improvement, climbing to third and fourth respectively, with London rounding out the top five, and Shanghai at number six. “One of the new indicators this year is connected to the tremendous sustainability challenges of the oceans. 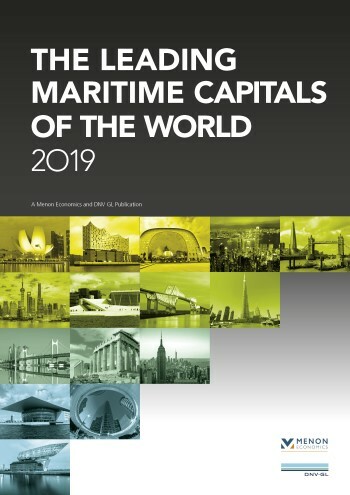 According to the 200 maritime experts in the study, Oslo stands out as the main centre for ocean technologies and solutions, with a higher score than the combined value of the three next in the rank – Singapore, Copenhagen and Rotterdam,” says Erik W Jakobsen, partner in Menon Economics. A mass rescue operation – indeed, any incident beyond everyday capability – is a challenge for any State and any SAR organisation; but this is particularly so for small States and organisations, whose planning and response capabilities are naturally limited. A cruise ship accident in the Caribbean, for example, where many such ships trade, is a very rare event, but still a possible one. Rarity is part of the problem. How do you prepare for such huge, once-in-a-career challenges? In the UK IMRF Member the Maritime and Coastguard Agency (MCA), an executive agency of the UK Government, takes this question very seriously. On request of the Overseas Territories, the MCA is running the Overseas Territories Search and Rescue (OTSAR) Capability Project with the purpose of reviewing and improving existing search and rescue capabilities within and across the Caribbean and South Atlantic Overseas Territories, funded through the UK Conflict Stability and Security Fund (CSSF). As a part of the project the MCA and their UK Overseas Territories partners have considered the necessary preparations to handle mass rescues. In late January representatives of the Caribbean Territories – the Cayman Islands, Montserrat, Anguilla, the Turks and Caicos Islands, Bermuda and the British Virgin Islands took part in a workshop organised by the MCA in Miami to discuss mass rescue operations. At IMRF’s the Mass Rescue Operations manager, David Jardine-Smith, was among the outside experts invited to address the meeting. He introduced participants to the IMRF’s online library of information on mass rescue operations, to be found at: www.imrfmro.org and invited them to use this information to help them learn from others’ experience of these very challenging events. **Identify synergies to improve SAR coordination. **Familiarise participants with the procedures for the establishment of an adequate and effective SAR service, including national SAR plans, coordinating committees, internal cooperation and the establishment of policies and standard operating procedures. **Develop a SAR competency framework, training needs analysis, training and exercise programmes, and a qualification and certification framework. **Know the key aspects of a basic SAR system, including concept, components, training and exercises, communications, system management, and the improvement of services. **Provide the opportunity to exchange experiences, best practices and lessons learnt. The January mass rescue event in Miami was followed by another workshop in March at which the participants tested their planning in tabletop exercises. These were conducted with the assistance of United States Coast Guard and French experts from the region as well as the MCA team. It is understood that the IMRF has invited the OTSAR Project’s Operational Lead, Philipp Bostock, and representatives of the Territories concerned to attend the World Maritime Rescue Congress in Vancouver in June and share their experiences of this valuable SAR development project. * The UK Overseas Territories participating in the project are: Anguilla; Bermuda; British Virgin Islands; Cayman Islands; Falkland Islands; Montserrat; Saint Helena, Ascension and Tristan da Cunha; South Georgia and the South Sandwich Islands; Turks and Caicos Islands. 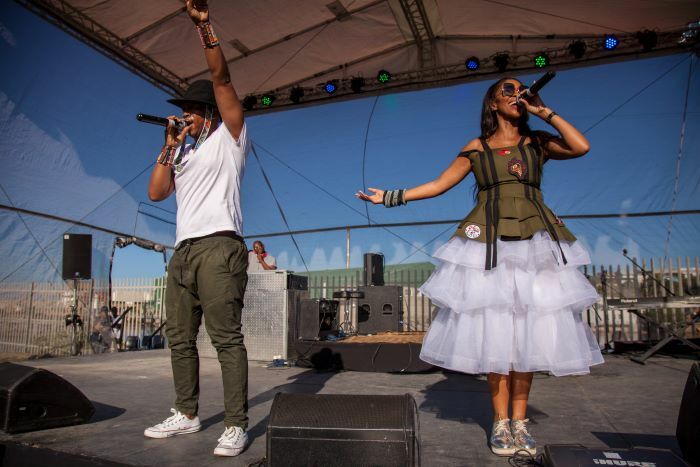 The Garden Route community of the Southern Cape can look forward to a weekend of spectacular harbour highlights in November, as Transnet National Ports Authority (TNPA) firms up 2 and 3 November as the dates for its new-look Port Festival in Mossel Bay. There was some speculation that the restructured port festival could take place at the end of April, but this would not be the case. Port of Mossel Bay Corporate Affairs Manager, Sithembiso Soyaya, said TNPA had been in engagement with the district and local municipalities, which led to an expanded view that the Port Festival should be developed into a regional event that will boost tourism and social cohesion not only in Mossel Bay, but in the entire Garden Route Region. 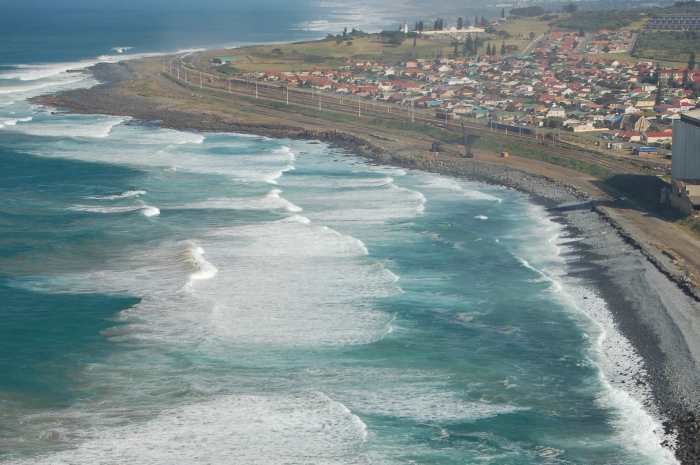 This means that the port landlord will continue to support the Mossel Bay Municipality’s annual Dias Festival in February with various waterside activities, but will now also stage a bigger port festival separately going forward. However, the regional approach to the upcoming standalone port festival will include the participation, partnership and collaboration of all port stakeholders, including the Garden Route District Municipality, the Mossel Bay Municipality and other public and private partners. 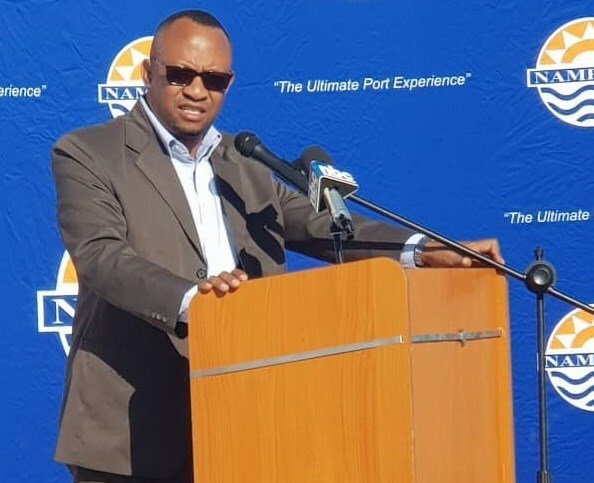 “The port looks forward to delivering a quality event in collaboration with its partners, that embraces transformation and provides business opportunities to previously disadvantaged communities within the Garden Route District,” said Tshikalange. Showcasing portside fun for all ages, the two-day Port Festival in November aims to help TNPA to bring communities closer to the port, in line with its ‘People’s Port’ focus. The public can look forward to an array of family-friendly entertainment including tours of ships, boat rides, a careers and business exhibition, a sailing regatta, sea rescue displays, a special kids’ zone, craft and food markets, live music and entertainment by crowd pullers and emerging artists, plus an array of other waterside and landside activities. Discussions have been held between ministers from South Africa and Eswatini (Swaziland) with regards to operating the Oshoek Border Post on a 24-hours basis. This follows a meeting that was held last week Friday by the Minister of Home Affairs Dr Siyabonga Cwele and his Eswatini counterpart, Her Royal Highness Princess Lindiwe Dlamini. The Ministers agreed to reinstate quarterly meetings of senior officials to keep track of commitments made and the implementation of areas of agreement. The state of readiness of the port ahead of the Easter period was also discussed. The Oshoek/Ngwenya Port of Entry will operate for 24 hours from 18-21 April 2019. The Ministers expressed satisfaction about the plans and the preparations for this busy period. 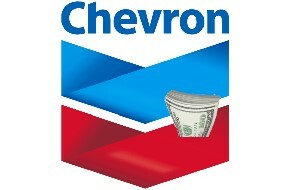 In a transaction that will affect the oil and gas exploration being undertaken in the Rovuma Basin of northern Mozambique, Chevron Corp has announced that it has entered into a definitive agreement with Anadarko Petroleum Corporation in which Chevron will acquire all of the outstanding shares of Anadarko in a stock and cash transaction valued at $33 billion, or $65 per share. 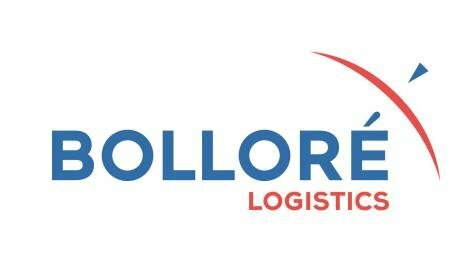 French Africa specialist Bolloré Transport & Logistics intends investing €15 million in a joint venture development with Ethiopian company CLS Logistics to create a 12,000 m2 logistics facility in Ethiopia in order to further consolidate its service in the Horn of Africa country. 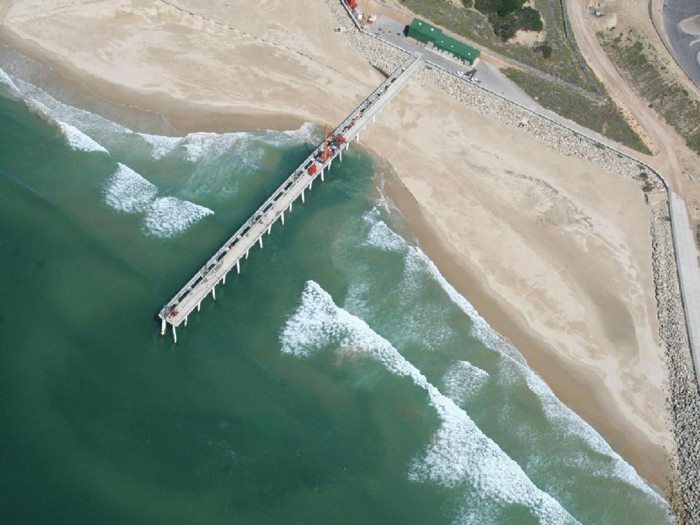 The Eastern Cape Port of Ngqura, the first port in the world to have a fixed jet pump sand bypass system, is meeting its stringent dredging targets of 240,000 tonnes of sand per year, after successfully overcoming challenges. The Nigerian Maritime Administration and Safety Agency (NIMASA), has denounced the high level of capital flight in Nigeria arising from inadequate participation of indigenous firms in the cargo freight value chain. NIMASA’s Director-General, Dr Dakuku Peterside (pictured below), made this clear at last Friday’s Agency day at the on-going 30th Enugu International Trade Fair, organised by the Enugu Chamber of Commerce, Industry, Mines and Agriculture (ECCIMA). A familiar cry across much of Africa….. Text here is based upon a very helpful briefing from IMO HQ in London early in April. Here the infogram shown is particularly important and shows clearly what we all in the shipping community are expected to know. Heavy fuel oil is the main type of bunker oil for ships. This bunker commodity is derived as a residue from crude oil distillation. Crude oil contains sulphur which, following combustion in the engine, ends up in ship emissions. Sulphur oxides (SOx) are known to be harmful to human health, causing respiratory symptoms and lung disease. In the atmosphere, SOx can lead to acid rain, which can harm crops, forests, aquatic species and buildings. It also contributes to the acidification of the oceans. 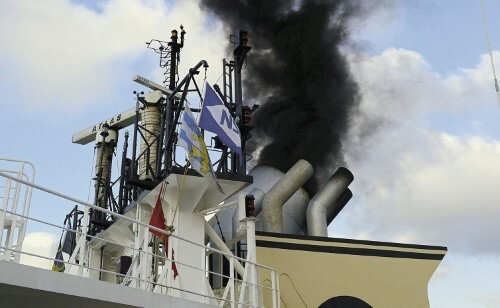 From 1 January 2020, the limit for sulphur in fuel oil used in ships operating outside designated emission control areas will be reduced to 0.50% m/m (mass by mass). This will significantly reduce the amount of sulphur oxides emanating from ships and should have major health and environmental benefits for the world, particularly for populations living close to ports and coasts. 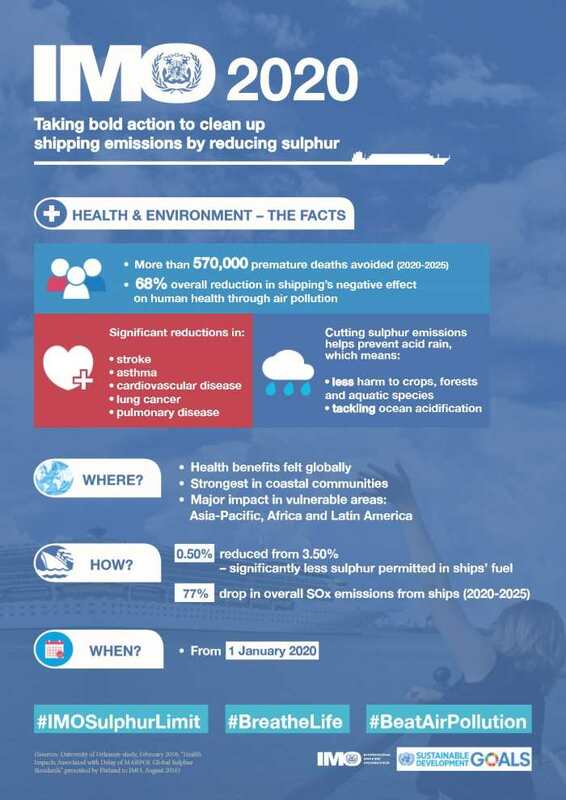 Limiting sulphur oxides’ emissions from ships reduces air pollution and results in a cleaner environment. Reducing SOx also reduces particulate matter, tiny harmful particles which form when fuel is burnt. The Namibian Ports Authority (Namport) last week hosted farewell functions at the ports of Lüderitz and Walvis Bay for its CEO who has been at the helm of the institution for the past decade. In the coming months, a large drone will check emissions from ships in Danish waters to make sure they comply with the sulphur limit. 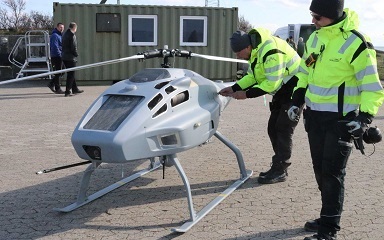 It is understood that the drone is provided by the European Maritime Safety Agency (EMSA), and is to be used as a means of preventing ship pollution. This was reported in a news item issued by the Danish Maritime Administration on 12 April. The arrival of the state-of-the-art VIKING SUN cruise liner at the Port of East London yesterday (Monday) closed the port’s 2018-19 cruise season on a high note, with 830 passengers disembarking for excursions throughout the city – the highest ever, according to the port’s Corporate Affairs Manager, Terry Taylor. East London Port Manager Sharon Sijako, said the port was delighted to welcome both the line and the vessel to East London waters as the latest in a growing list of cruise industry players who are endorsing the city’s tourism potential. 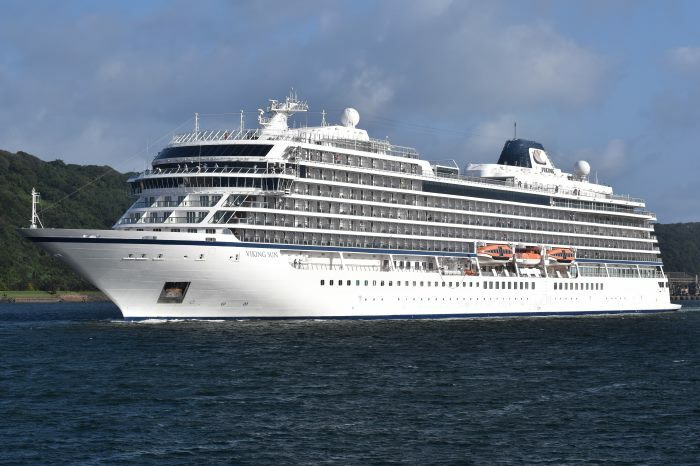 “Viking Sun is on her maiden South African voyage and this is also the very first time that her owner, Viking Ocean Cruises, has included the country on its global itinerary,”she said. Flying the flag of Norway, Viking Sun first arrived in Durban from Maputo at around 15h00 on Friday, 12 April. 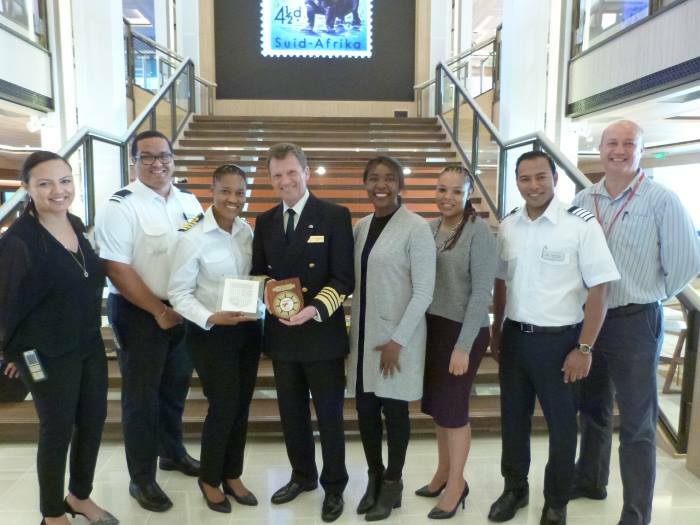 After two full days in Durban she sailed for an overnight cruise to East London where she was welcomed by the port’s management team and Harbour Master, Kgadi Matlala, who presented a plaque to the ship’s master, Captain Olav Soevdsnes, the second of a number he will receive at local ports. After East London she calls at Port Elizabeth today (16 April) and finally Cape Town on 18 April, also as the last cruise liner for the latter ports. She then ventures into the South Atlantic to explore Lüderitz and Walvis Bay, as well as several other ports along the West African coast. 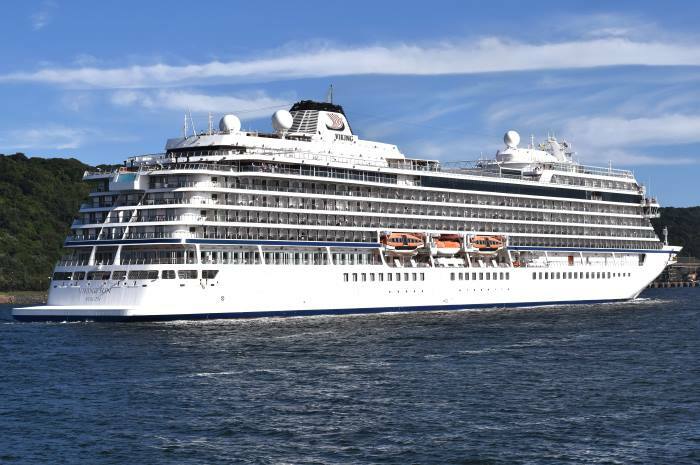 Viking Ocean Cruises operates global ocean cruises with a fleet of six ocean ships and river cruises with a fleet of almost 60 Viking Longships. There are a number of other ocean ships currently on order, all very similar to Viking Sun. 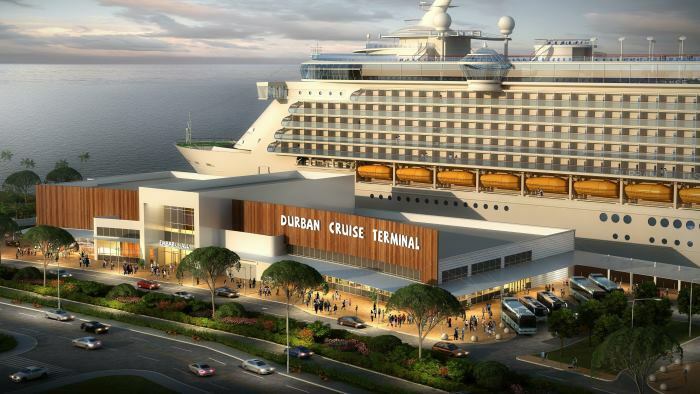 The company announced back in September 2018 that it would be featuring South Africa heavily on its 128-day Viking Sun World Cruise from Miami to London, which includes 44 port calls in 21 countries on five continents. 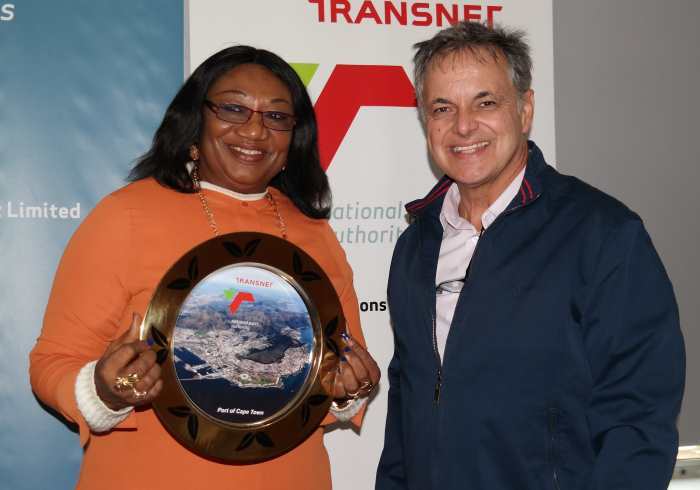 Transnet National Ports Authority (TNPA) GM: Corporate Affairs and External Relations, Moshe Motlohi, said: “During 2018/19 we once again enjoyed year-on-year growth with more global operators using our ports, resulting in economic spinoffs for tour operators, hotels, game reserves, lodges and tourist attractions in our port cities,” he said. 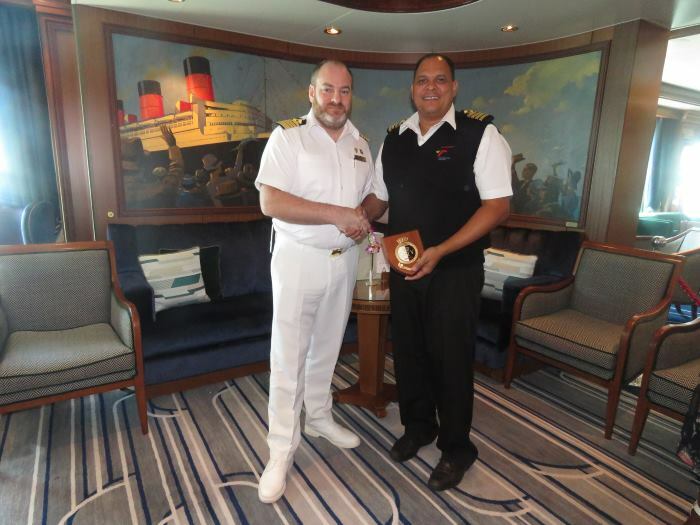 A plaque was presented by East London Harbour Master, Kgadi Matlala, to the ship’s master, Captain Olav Soevdsnes, to commemorate the close of the port’s 2018-19 cruise season and the first visit to South Africa of VIKING SUN and its owner Viking Ocean Cruises. 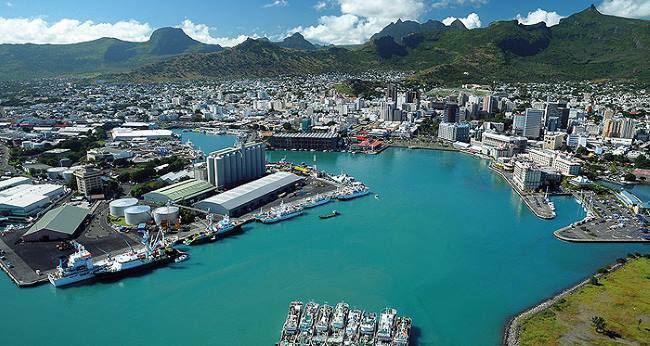 Port statistics for the month of March 2019, covering the eight commercial ports under the administration of Transnet National Ports Authority, are now available. The port with the highest turnover throughput in terms of tonnages handled in March is again Richards Bay followed by Durban and Saldanha Bay closely together. Details of the port throughputs, ships berthed and containers numbers handled can be seen in the Tables below. 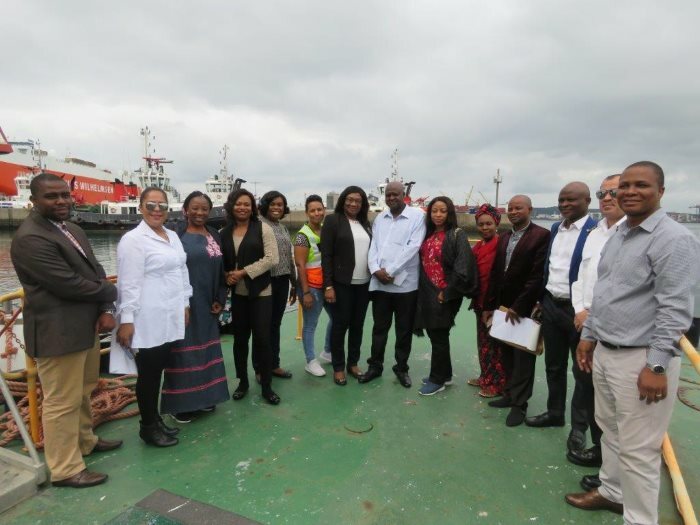 Last week Transnet National Ports Authority welcomed delegates from the Nigerian Shippers’ Council (NSC) on a knowledge sharing visit to the Ports of Durban, Port Elizabeth and Cape Town, hosted by Transnet International Holdings. The NSC, which was recently mandated to take up a new role of Economic Regulator in Nigeria, will, among other functions, serve as an agent of economic development by promoting equity of access to opportunities within the transport industry. 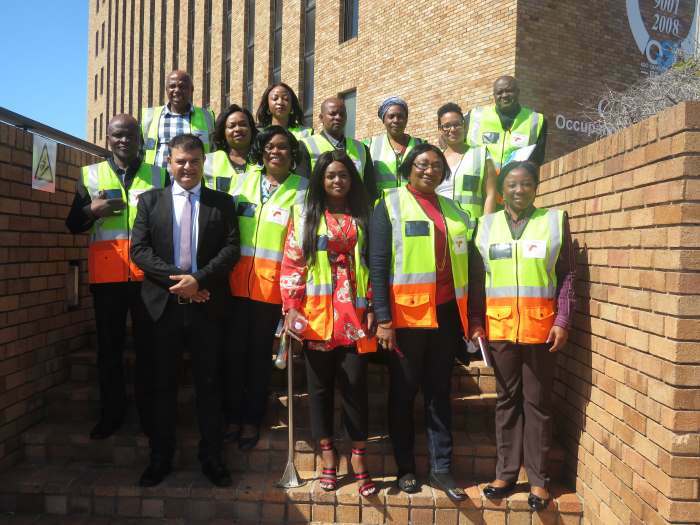 The delegation of senior managers arrived in Durban on Monday, 8 April for a tour of the port before arriving at the Transnet Maritime School of Excellence, where they participated in a three-day workshop on the role of the Port Regulator. This was followed by a visit to the Ports of Port Elizabeth and Ngqura on Thursday, 11 April, and Cape Town on Friday, 12 April, to gain first-hand experience of the ports in action and consolidate learnings from the workshop. Included on the agenda were numerous presentations covering capacity, legislation and regulatory policies, port performance score card, private sector participation in ports, port market analysis, environmental performance and impacts of climate change, the Transnet of tomorrow, pricing strategy and tariffs. Other topics included development of international trade and the evolving role of ports, future trends in policy, technology and regulations, global port management structures and ownership models, as well as other legal and regulatory developments affecting ports. “The visit reflects Nigeria’s confidence in South Africa and in TNPA as a leading ports authority on the continent. It also confirms both countries’ commitment to partnering in the interests of ensuring Africa takes her rightful place in the global economy,” said Moshe Motlohi, TNPA’s General Manager: External Relations and Corporate Affairs. Rajesh Dana, Port Manager at the Port of Port Elizabeth, described the visit as providing the opportunity to build a strategic relationship with the NSC and offers TNPA the opportunity to identify areas within which the TNPA ports can partner and collaborate with the Nigerian Ports to grow trade in a safe, efficient, responsible and sustainable manner. “This partnership will ensure that we utilise our world class ports as a catalyst for economic growth and thereby position Africa to take up her rightful place in the global economy,” he said. The delegation ended their visit with a tour of the Port of Cape Town. 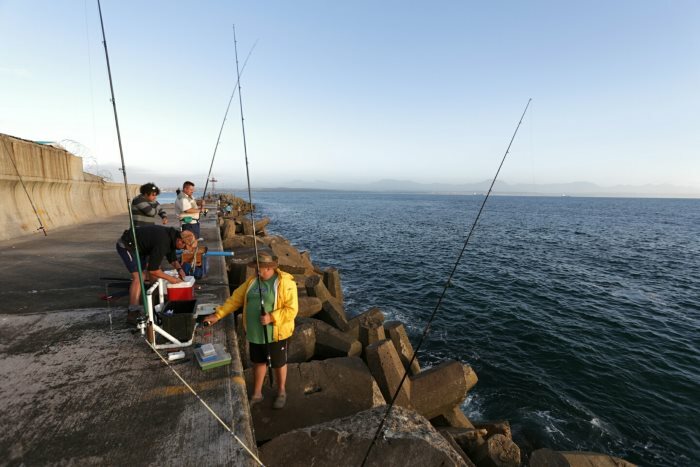 From 06h00 on Monday, 15 April 2019 (today), the angling community of East London can look forward to enjoying their favourite pastime from another prized location in the Port of East London, as Transnet National Ports Authority (TNPA) re-opens a section of the Foreshore for public fishing between the hours of 06h00 and 18h00. This comes after ongoing engagements with the Buffalo City Metropolitan Municipality (BCMM) and the Buffalo City Association of Salt Water Anglers (BCASA). The arrival of the MS SILVER WHISPER luxury cruise liner at the Port of Richards Bay on Friday, 12 April brought the port’s 2018-19 cruise season to a fitting end. The vessel is owned by the Monaco-based Silversea Cruises and is one of seven vessels to have visited Richards Bay this season. 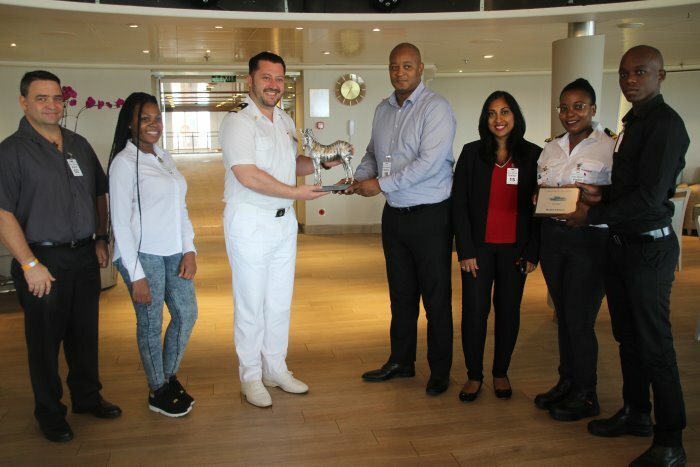 Silver Whisper was welcomed by TNPA Port Manager, Thami Sithole, who presented a plaque to the ship’s Staff Captain Iulian Albici aboard the vessel. Representatives of Rennies Ships Agency, as the attending vessel agent, were also present at the ceremony. The ship, which has been a frequent visitor to Richards Bay arrived with 317 passengers mainly from United States en route to Durban and Cape Town. From there she embarks on a 26-night voyage to Lisbon (Portugal), before further cruises that include a Northern Europe Wine Voyage, a Luxury Mediterranean Cruise and a Luxury Transoceanic Culinary Cruise. Silver Whisper has a length of 186 metres and a guest capacity of 435. 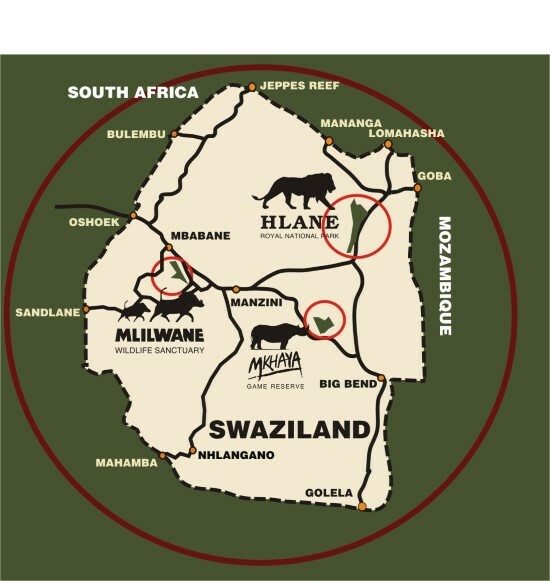 Some of the attractions that the passengers took in during their stays were Shakaland, Thanda Game Reserve, The Town Ship Route, Sodwana Bay, St Lucia as well as a cycle around the city. SILVER WHISPER (Silversea Cruises) on 12 April 2019. 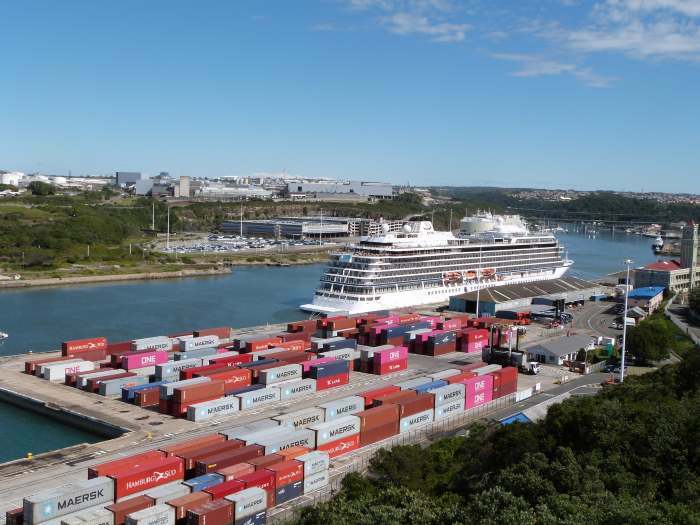 The arrival of the state-of-the-art VIKING SUN cruise liner in South African waters last week marked the first visit to the country for Switzerland-based owner Viking Ocean Cruises. The vessel’s maiden South African voyage also brings the Western and Eastern Cape’s 2018-19 cruise season to a splendid close. The accompanying image was gathered on the Copernicus Sentinel-1 mission over the busy maritime traffic passing through the English Channel. The European Space Agency (ESA) released the image on the forenoon of 12 April. Two identical Copernicus Sentinel-1 satellites carry radar instruments, which can see through clouds and rain, and the darkness, to image Earth’s surface below. Here, hundreds of radar images spanning 2016 to 2018 over the same area have been, compressed into a single image. The sea surface reflects the radar signal away from the satellite, making water appear dark in the image. This contrasts metal objects, in this case ships, which appear as bright dots in the dark water. Vessels that passed the English Channel in 2016 appear in blue, those from 2017 appear in green, and those from 2018 appear in red. 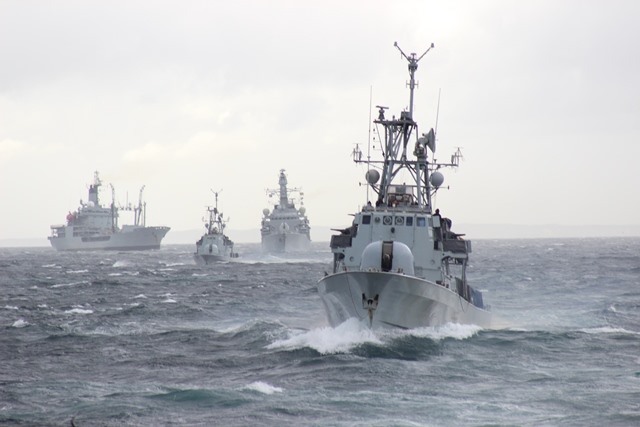 Owing to its narrowness, as well as its strategic connection of the Atlantic Ocean and the North Sea, the Channel is very busy with east-west ship traffic. Because of the volume of vessels passing through daily, a two-lane traffic separation scheme is used, in order to avoid collisions. The two lanes can easily be detected in the image. Many vessels crossing at the narrowest part of the English Channel can be seen in the far right of the image. Connecting Dover in England to Calais in northern France, the Strait of Dover is another major route, with over 400 vessels crossing every day. The shortest distance across the Channel is just 33 km (22nm), making it possible to see the opposite coastline on a clear day. The cities of London and Paris, other towns and buildings and even wind turbines in the English Channel are visible in white owing to the strong reflection of the radar signal. Radar reflections of wind farms are visible at the extreme NE entry to the Dover Strait. 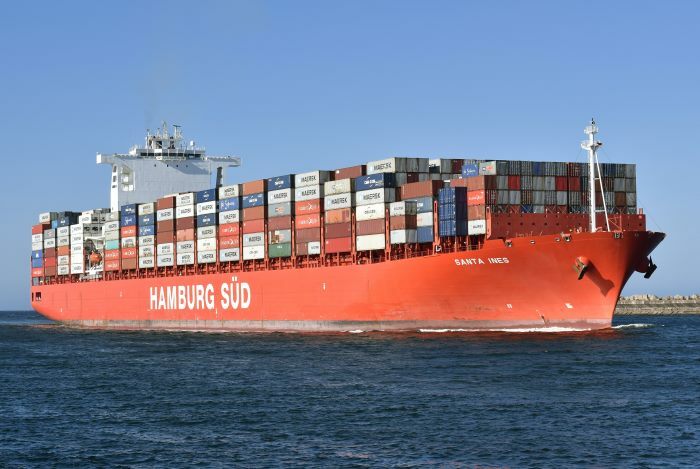 The Clean Shipping Alliance 2020 (CSA 2020) says it welcomes the decision by the South African Maritime Safety Authority (SAMSA) to accept all types of approved exhaust gas cleaning systems (EGCS) for use in its territorial waters. In an IMO 2020 advisory notice (see Marine Notice No. 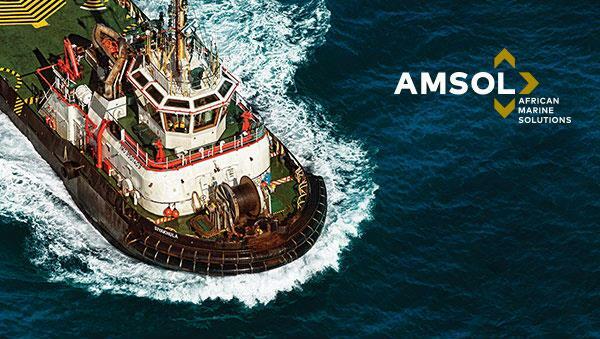 8 of 2019) issued in March to shipowners, operators, master mariners and bunker suppliers, SAMSA says the use of open-loop, closed-loop or hybrid systems are accepted until further notice “as an equivalent arrangement under Regulation 4 of MARPOL Annex VI for compliance with the sulphur limit [which] is currently based on the criteria stipulated in the 2015 Guidelines for Exhaust Gas Cleaning Systems (resolution MEPC.259(68))”. 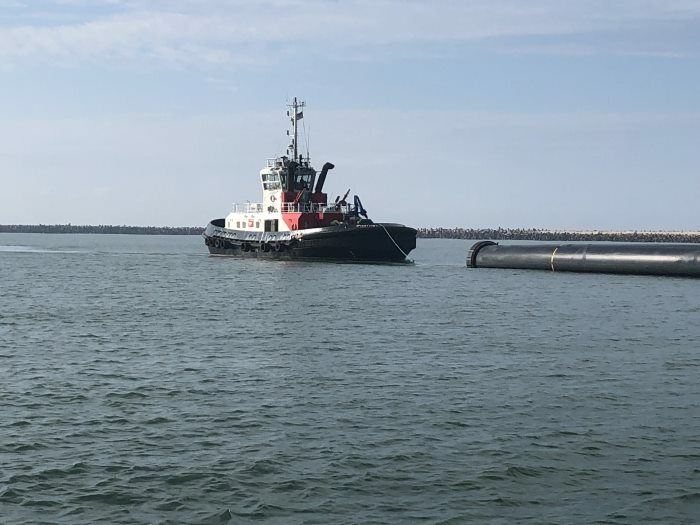 The marine operations team at the Port of Richards Bay recently went to the aid of a passing tug and tow, the MTS VANGUARD which had lost one of eight 500-metre long pipes that it was towing along the South Africa coast. MTS Vanguard and tow were en route from Carolina in the United States to Kuwait in the Persian Gulf. 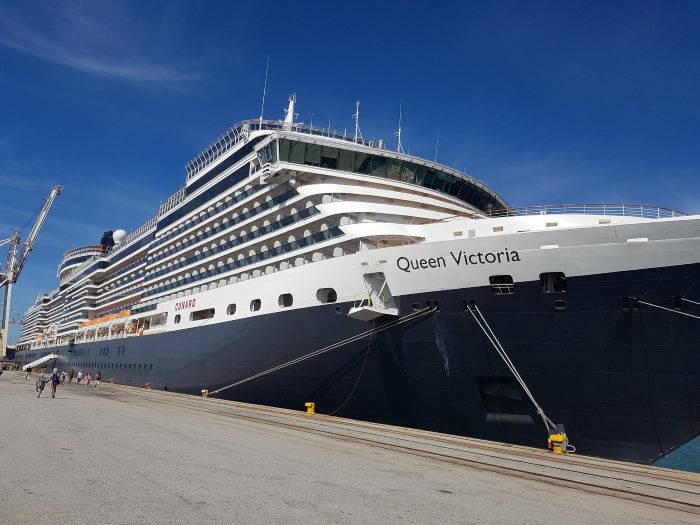 Cunard’s 90,049-gt cruise ship QUEEN VICTORIA called recently at Port Elizabeth, being the penultimate cruise ship visit to the port before the end of the 2018/19 cruise season. The large and impressive-looking ship berthed at Berth 101 in the port at 04h00 – an earlier than expected arrival. 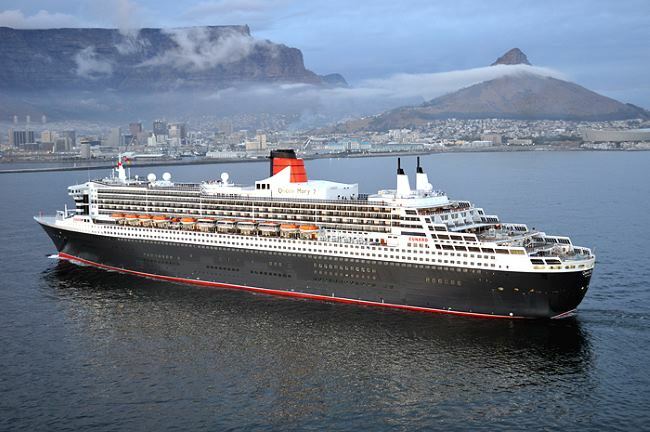 “The port always looks forward to welcoming the Cunard Line cruise ships, this time being the prestigious MS Queen Victoria,” said Transnet National Ports Authority’s (TNPA) Harbour Master at PE, Captain Brynn Adamson. 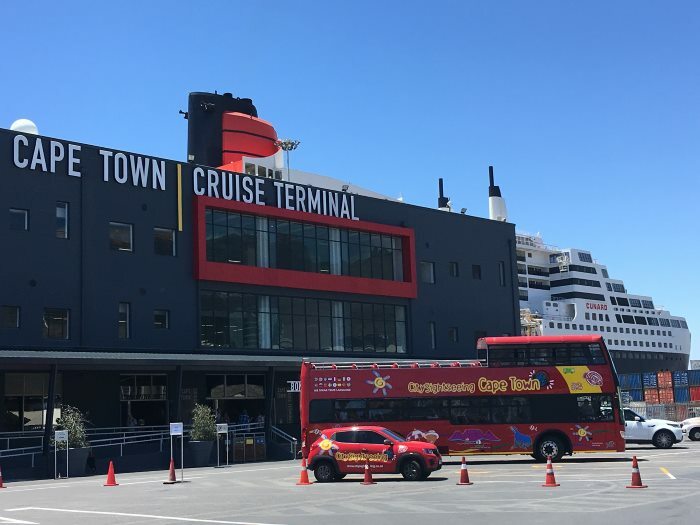 “The cruise season continues to provide a big boost for Nelson Mandela Bay’s economy, allowing tourists on stopovers to access tourism, leisure and wildlife experiences in and around our Metro. We’re delighted that PE continues to receive its fair share of cruise ships as more cruise line companies show confidence in our city,” he said. Also on hand to welcome the arrival of the ship was Councillor Queenie Pink, MMC for Economic Development and Tourism at the Nelson Mandela Bay Municipality. “TNPA, jointly with the city and other stakeholders, continue ongoing engagements to ensure that we are collectively able to entice more and more cruise liners to visit our friendly city over the coming cruise seasons,” she said. 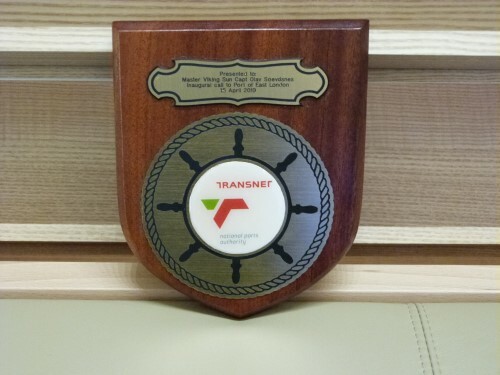 TNPA and the Nelson Mandela Bay Municipality representatives were welcomed on board the vessel for a ‘meet and greet’ and plaque handover with the vessel’s captain, Captain Tomas Connery and his crew. The MS Queen Victoria’s cruise is a 107 night voyage over six continents including stops in San Francisco, Sydney and Hong Kong. Her next stop after departing from the Bay is Cape Town. Queen Victoria’s facilities include seven restaurants, thirteen bars, three swimming pools, a ballroom and a theatre. At a function held at the Nissan automotive plant at Rosslyn outside Pretoria, South Africa yesterday (Wednesday 10 April), the Japanese manufacturer announced a R3 billion (US$ 215m) reinvestment in its existing plant. 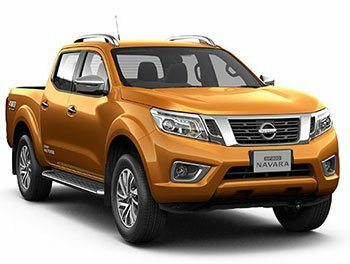 The investment will see Nissan produce its new Navara pick-up van for the local as well as international market. Nissan, which has been in the country over the last 56 years, will add a further 1,200 full-time jobs across the value chain with the start of production of the new Navara in 2020. The International Shipsuppliers & Services Association (ISSA) has taken the issue of unfair port access practices levied against its members to the international stage by delivering a verbal intervention on the issue at the IMO. 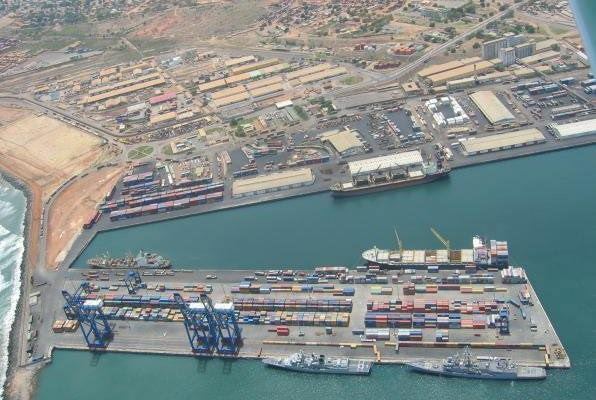 Government has announced an immediate and drastic reduction in the benchmark values against which duties paid by importers at Ghana’s ports are calculated. This measure took place as from Thursday, 4 April 2019, when the benchmark or delivery values of imports, with the exception of vehicles, were reduced by 50 percent, while that for vehicles will be reduced by 30%.